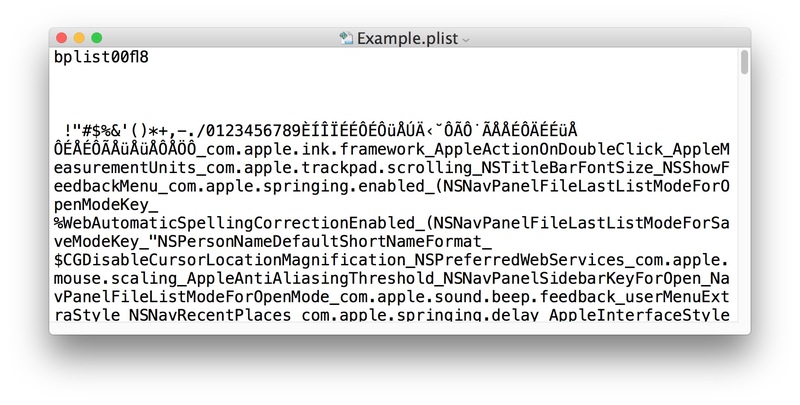 Plist files contain preference specifics and properties relevant to a particular application or portion of Mac OS X system software. Depending on where the plist file is located and what function they serve, they can either be in XML format, binary format, and sometimes even json. For users who need to modify a plist file or convert the file format to or from XML and binary, you can do so easily in the OS X Terminal with the help of the plutil command. The great thing about this approach with plutil is that users can convert property list files to XML to make edits with a plain text editor, then back to binary for use by an application or system function again. This prevents the need for using Property List Editor in Xcode to edit plist files, which is a large download and a bit more cumbersome if you don’t need the other development tools bundled with Xcode. Have a plist file that is in binary format you want to convert to XML? This can be particularly helpful if you wish to make an adjustment to a property list file in a text editor, without having to launch Xcode or a separate app. 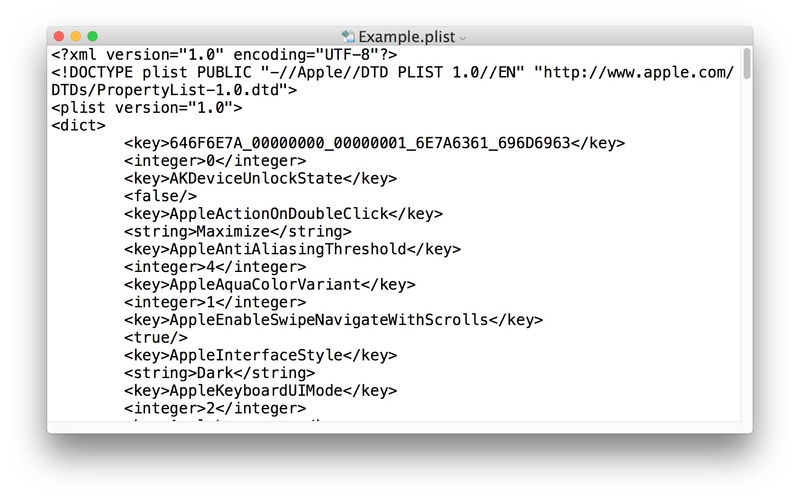 This converts the existing binary plist file into XML format, which can then be edited in just about any plain text editor, whether it’s vi, nano, TextEdit in plaintext mode, or third party apps like TextWrangler and BBEdit. You can also use Xcode to edit plist files as usual. This changes the plist in XML back to binary format. Once it’s in binary format it will not be editable with a standard text editor again, unless you convert it back into XML, or use Xcode’s built-in property list editor tool. The modified binary list files can then be placed back into various system level or app level directories as necessary. This is obviously aimed at advanced users who need to modify and adjust plist files in the first place, as the average Mac user likely rarely encounters the files let alone needs to make edits to them. You probably don’t need to convert the files back to binary for your applications to read them, actually. The libraries that handle PList files will simply parse the XML. This is useful because it means you can use both GUI and text editor to manage an app or server’s preferences simultaneously.